When I was invited to attend the Food Addiction and Obesity Summit in Brainbridge, Washington in 2009 I had no idea that it would change my life forever. This conference intrigued my curiosity for research and shaped my approach to treating binge eating disorder, obesity, eating disorders and addiction. The Summit invited 1/3 researchers and scientists, 1/3 medical doctors and 1/3 healthcare clinicians who work with patients with eating disorders. See a list of presenters here. At the end of each day, participants broke into small groups keeping the same ratio of scientists, doctors and clinicians to discuss the findings of the day’s presentations. The conclusions and recommendations from these breakout sessions were featured in the summit proceedings. It was amazing to watch the process as each member discussed similar results within their own disciplines. The researcher presented his results, the medical doctor and clinicians discussed similar results in their patients, and the scientists explained how these human behaviors and symptoms were mimicked in their trials with animals.The combined research, experience and knowledge provided so much more awareness about how refined foods are causing food addictions and our obesity epidemic. Throughout the years I have received criticism from other professionals who don’t subscribe to the addiction philosophy. They believe everything in moderation is ok. In my many years of treating people with disordered eating I know for a fact that not all people can drink alcohol in moderation and I believe there are some people who have a similar problem with some foods. 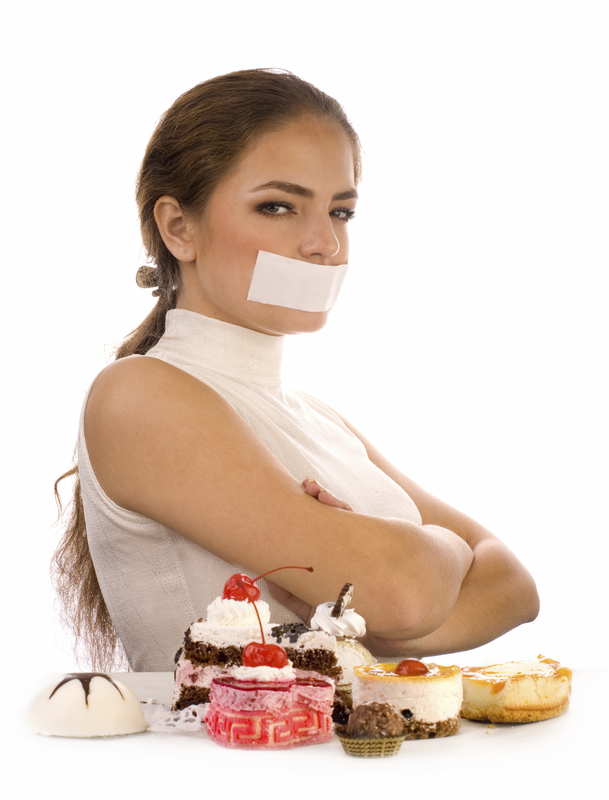 Throughout the years I have treated some patients who cannot have just one of their binge foods without succumbing to the cravings for more food. I have given research articles to my Registered Dietitians and shared in social media about this to no avail. They rejected the information in part because of the research published in the Nutritional journals reputing the fact that sugar could be addictive for some people. I investigated further and found that big corporations, who had a lot to lose, funded the published nutritional research they were reading. Michele Simon, president of Eat, Drink, Politics, an industry watchdog-consulting group, published an exposé of the close financial relationships between food and beverage companies and the Academy of Nutrition and Dietetics (AND) formerly known as the American Dietetic Association. The Academy of Nutrition and Dietetics have more than 72,000 members, the largest professional organization for nutrition in the world. Most members hold credentials as Registered Dietitians (RDs). A closer look at some of the leading Nutritional journals show that major food corporations fund the parent companies of these journals. The Academy of Nutrition and Dietetics partners and sponsors include Coca-Cola, Pepsi, Hershey, General Mills, Kellogg’s, Mars, and Truvia®, to name a few. Major food corporations not only fund the research studies, they also sponsor their conferences and provide continuing education units to AND members. I am concerned about big corporations that sponsor scientific studies when there are such conflicting interests. How does the journal deal with research papers suggesting that consuming some of their sponsors’ products may be harmful to ones’ health if they are receiving funds from these big corporations? There is a new textbook that was just published titled Fructose, High Fructose Corn Syrup, Sucrose and Health. This textbook shows scientific studies thatagain say that sugar is not a problem. The textbook’s editor, James M. Rippe, MD is Founder and Director of the Rippe Lifestyle Institute. If you check the Integrity In Science website it states “The various divisions of Rippe Lifestyle Institute work with a diverse group of clients and research sponsors from Fortune 500 companies. Among these sponsors are Kellogg Company, General Mills, and various pharmaceutical companies.” Most people would not check this out. The Summit speakers were pioneers in their field with years of research behind them. These Scientists and Researchers validated a phenomenon that those working with eating disordered patients or people in recovery from overeating and food addictions have known for years. There has been some exciting work that has come out of the 2009 Food Addiction and Obesity Summit. Dr. Mark Gold and Kelly Brownell, PhD., wrote and published the Food Addiction Handbook, a great resource for professionals. There were many other books that were influenced by this mindshare including Diets Don’t Work® by Rebecca Cooper, The Fat Switch by Dr Richard Johnson, and many research publications by Dr. Gene-Jack Wang, Eric Stice, PhD., Elliott Blass, PhD. and Jeffrey Grimm, PhD. Of special interest was Serge Ahmen, PhD. a Scientist from the University of Bordeaux, France,whose research showed that sugar can be more addictive than cocaine. The movie Fed Up (#FedUpMovie) was just released and many of the people from the 2009 conference were featured in this documentary. The movie exposes how our food supply is destroying our nation and the big corporate money of lobbyists is preventing our government from doing anything about it. It is time to wake up, if it is not too late already. We the people need to take action! This is our last hope for a prosperous, healthy future for the next generation. Those of us who grew up in the 60’s and 70’s thought we would make a difference in our world. We may have got sidetracked along the way, but now it is time to make our difference and leave this world a better place. You can start with taking the sugar challenge to see if you may have a problem, then help your loved ones and neighbors. Learn more about this yourself. A good place to start is www.sugarawareness.com where you can find research and other people’s’ experience with this addiction and recovery. If you need help please call 800-711-2062.